Auto title loans are a great way to save yourself from defaulting on a bill. We've all been strapped for cash, and afraid of being late on paying a bill again. What people don't tell you, is that there's always an easy way out. If you have a vehicle, it takes just a few minutes for you to get the cash you need. The answer is an auto title loan! An auto title loan takes simply a few minutes, and you can get the exact amount of money you need for the bill. The interest is minimal, and you simply pay it off to us when the extra money comes in. It's a fast, easy, painless process, and you still get to drive your car. Casino Pawn and Gold will give you a fair, simple auto title loan to relieve your stress. So how does it work? It's rather simple. You bring in the title to your car, in your name, and we do a simple valuation on your car. 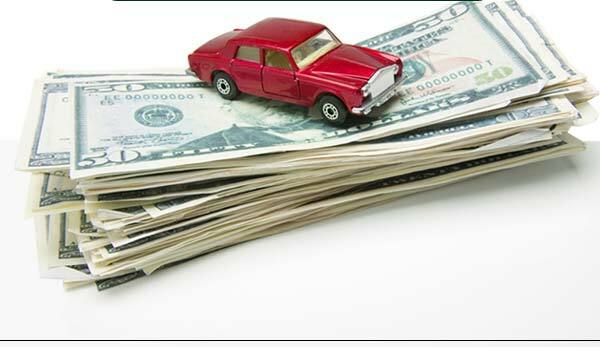 We'll give you the value of your car in cash, and a lien is simply added to your title. The car is still yours, but also ours, until your debt is paid off. You keep your car, you get the cash you need, and you pay us back when the money is there. Even if you don't need the full valuation of your car, we can loan you what you need. You simply need a clean title, and we can get you an auto title loan today. We offer these auto title loans on any vehicle you might have. It may make you a bit uneasy to get a loan on your daily driving vehicle, so then bring in that extra recreational vehicle you have. We offer loans on boats, on RVs, on quads, on trucks, on airplanes, even, classic cars, muscle cars and even motorcycles! If it drives, we'll loan you money on it. You can alleviate the stress of your bill, not have to make a sacrifice on your daily driver, but also get the cash you need instantly. Credit is not a problem! Good credit, bad credit, no credit, it doesn't matter. Credit plays absolutely no role in whether or not you can receive an auto title loan. If you need the cash, and want an auto title loan, your credit doesn't matter whatsoever! We won't even check credit, all you need is a car and a clean title. Casino Pawn and Gold is always here to help, and will accommodate whatever needs you may have. Previous auto title loan customers continue to return when they're in a rough spot come the end of the month because they know we treat them fairly, and give them their fair value for the vehicle they bring in. Customer service is our priority, and you can ensure that we will take good care of you, one way or another. You can sleep assured your auto title loan is handled in as professional and discreet a nature as possible. All auto title loans are done through Phoenix Title Loans, a reputable company who has been in business for years. It's a large commitment to make, and we understand that, so if you simply want information just give us a call! We can be reached through live chat 24/7 on our website, or you can give us a call during business hours at (520) 223-4633. We're here to help you. If an auto title loan will save you this month, then we'll be there to help.